Direct mail certainly isn’t dead — and it offers serious opportunities for sustainable organizations. Perhaps you’re already investing in social media moderation, search engine optimization, and dozens of other three-letter-acronym marketing strategies that rely on rigorous data collection and analysis. With a few clicks, you can target your message directly to specifically tailored audiences, such as liberal-leaning construction workers aged 20-35 living in Pike County, Illinois for example. Your email list may have thousands of names of motivated individuals who are ready to spread your message, and sending an e-newsletter costs almost nothing. So why not rely solely on digital marketing? Trust us, we get it — and we’re not going to talk you out of serious investments in state-of-the-art marketing tech. We’re invested too, yet we can’t overstate the importance of physical direct mail, either. According to Compu-Mail, direct mail maintained a 5.1 percent response rate in 2017 — compare that to a relatively paltry 0.6 percent for email and 0.4 percent for social media. Direct mail still offers an excellent return on investment; that’s why the average American home receives about 848 pieces of direct mail per year. However, few successful marketing efforts use a single approach. By combining direct mail with your digital campaigns, you can enhance your influence on customers/constituents while improving response rates across the board. For sustainable energy organizations, IP targeting offers opportunities for maximizing the impact of direct mail. 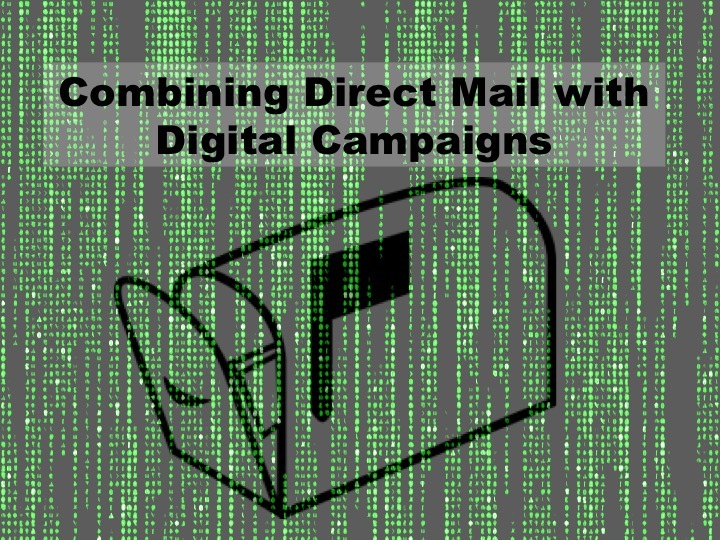 You need to coordinate your direct mail campaigns with your digital campaigns. Fortunately, that’s not as impossible as it might sound. IP targeting attempts to append postal addresses to IP addresses, essentially allowing your organization to build multi-layered campaigns. Basically, you can ensure that your customer/constituent will see your online ads before the comparatively more expensive (and more effective) direct mail arrives at their doorstep. When we manage these coordinated campaigns, we extract branding elements from the direct mail piece, then utilize those elements in IP-targeted banner ads in the days before the direct mail arrives at the recipient’s home. The viewer becomes familiar with your branding and therefore more likely to respond favorably to direct mail. As a result, when the direct mail arrives at the customer’s/constituent’s home, they’re extra receptive. While they’re holding your mailer, you have their full attention — you’re not fighting with a dozen browser tabs to get your message across — and you’re speaking with a familiar voice. In other words, your mailer is much less likely to end up in the dreaded “junk mail” pile. That results in improved recognition and awareness. How much? Results vary depending on the message and the campaign goal, but our case studies show an average response rate increase of 30 percent when direct mail is coupled with IP targeting. That’s an extraordinary difference. Through IP targeting, we can also generate more accurate statistics over the course of long-term campaigns, providing the data-driven insights you need to coordinate your campaign. You spend less, gain more responses, and waste less paper (certainly a consideration for any modern, sustainable organization). The takeaway: Don’t write off direct mail, but don’t consider it as a standalone piece of your marketing portfolio, either. The most effective campaigns combine direct mail with digital marketing efforts for a precise approach that resonates with the target customer/constituent.